PHOENIX – A state-of-the-art senior-living community will enter the metro-Phoenix market this winter when The Statesman Group breaks ground on the $50 million, 287,000 square-foot facility, The Manor Village of Desert Ridge. This is the second Ariz. location for The Manor brand and 12th among Statesman’s Canadian and U.S. portfolio. As a family owned and operated company, Statesman is unique in the senior-care industry as they design, build and manage all of their senior-care centers. 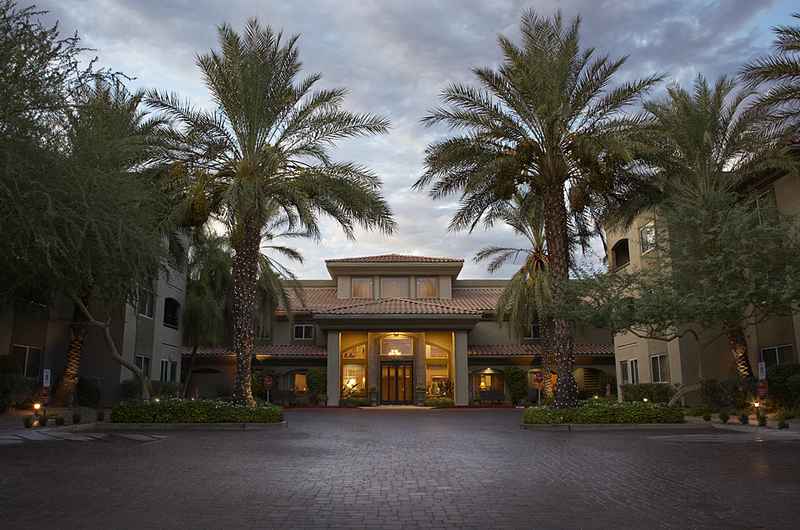 The Manor Village at Scottsdale, located at 9160 E. Desert Cove Ave., opened in 1997. Next week, Statesman will reveal a $1 million renovation on the property bringing a new look and feel to all of the common areas along with an expanded fitness center. Located on Deer Valley Road between 52nd and 56th streets, The Manor Village of Desert Ridge will offer a collection of 196 independent-living, assisted-living and memory-care suites that feature a variety of floorplans ranging in size from 446 to 1,043 square feet. Independent-living suites will be equipped with a full kitchen, stackable washer and dryer and a state-of-the-art, emergency call and response system. Residents will also have access to a robust lineup of amenities. Statesman will break ground this winter with expected completion by early 2020. Each Manor Village Life Center offers a tailored experience for residents with a variety of professional services including a mobility specialist to create custom exercises suitable for seniors; a health and wellness team who personalize wellness plans; an executive chef and culinary team to prepare balanced, gourmet meals using local, farm-fresh ingredients; a massage therapist; a sleep expert; and a pharmacist experienced in geriatric medicine. Residents also have access to a wide range of weekly activities from yoga and Tai Chi classes to fun social events and off-site outings. To register for The Manor Village Desert Ridge or The Manor Village at Scottsdale, visit http://www.themanorvillageusa.com/. For more than 40 years, The Statesman Group has been active as a developer, builder, investor and manager of single-family, multifamily, resort and senior living communities throughout North America. Family owned and operated since its inception, Statesman has delivered more than 15,000 homes, and growing, within dynamic master-planned communities. The company’s portfolio includes The Statesman Collection of Condominium Communities and two full-service senior care community brands, The Manor Village Life Centers and Advanced Medical Group. Statesman has also recently expanded as an investor in hotel development including partnerships with Tru by Hilton, Residence Inn by Marriott, TownePlace Suites by Marriott and the new Aloft by Starwood (Marriott). With headquarters in Scottsdale, Ariz., the company has offices and developments in Alberta, Ontario, British Columbia and Washington. For more information, visit Statesmanusacom.